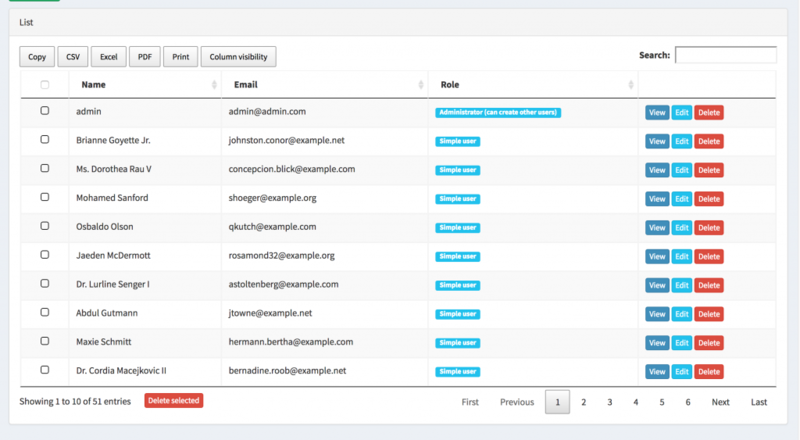 Disclaimer: we will use a panel with our AJAX Datatables module, that uses server-side rendering. If you’re not familiar with it, read about this module and/or watch this video. 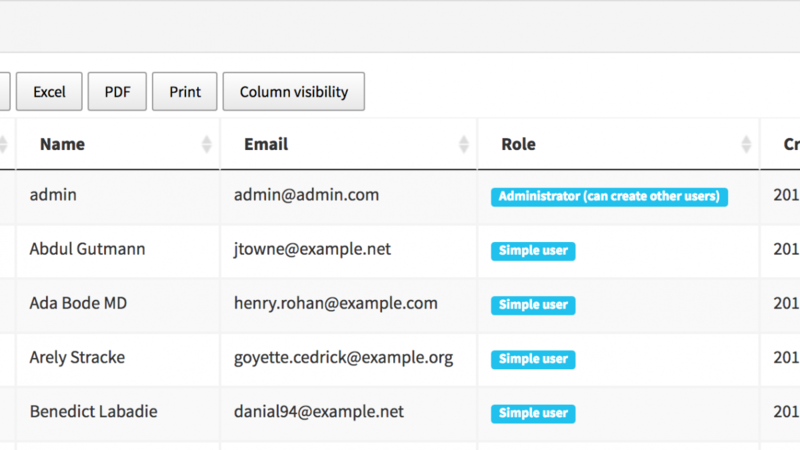 Our starting point is a downloaded fresh admin panel with Users list. 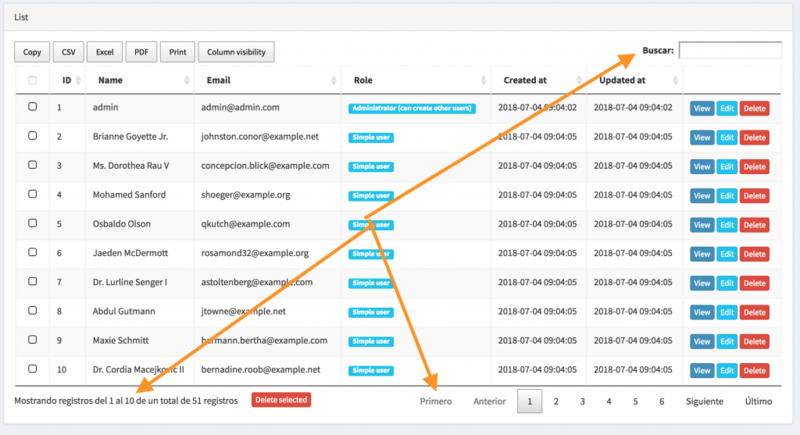 For non-QuickAdminPanel users: if you just want to know Datatables tips from this article, then you can download the starting project adminpanel here, install it locally and follow along. Now, let’s change some settings to have different view. I’m talking about these buttons, see above. How to manage them? You can also remove buttons from array one by one, rearrange them to change the order etc. Finally, you can build your own custom buttons – check Datatables.net official documentation on this. Next – let’s add those columns to be returned from the query. The most typical change would be to specify the columns for the export. Luckily, all those three buttons above follow the same parameters. 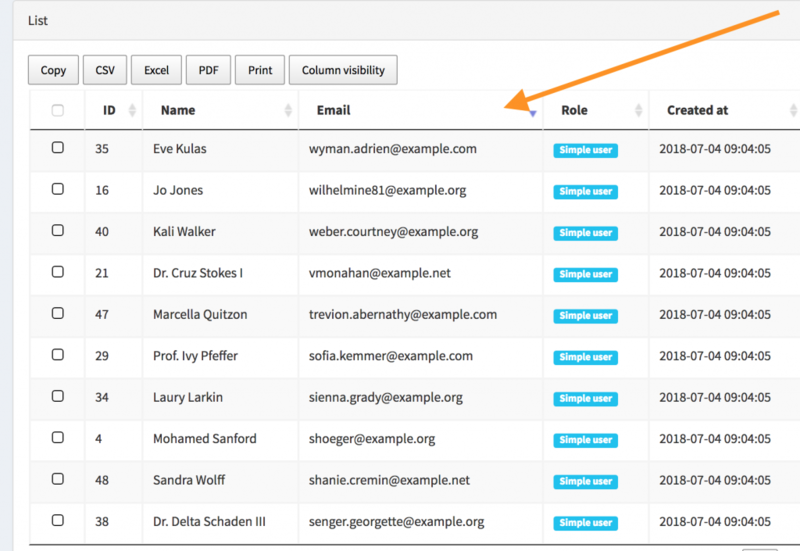 Another thing you can do is to customize the output for each column. return column === 0 ? Notice that in this example the visible columns are 1, 2 and 3, but the uppercased column is the first one, with index 0. 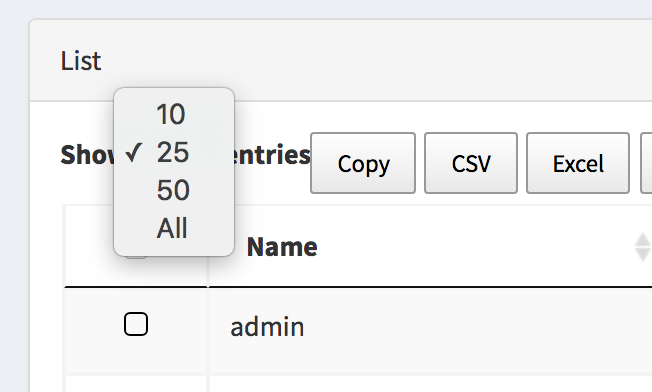 So numbering columns for formatting comes after the column visibility filter. It will produce this result, with 25 as default value, and “All” option represented by “-1” value. By default, we load Datatables.net with English language. That said, the column names, that are in Blade files, are loaded with @lang functionality, so you can translate them in resources/lang/[language] Laravel files. But how do you translate some hard-coded Datatables words? Like “Show X entries”, “Previous/Next” etc. If you want to have the whole Datatables in your own language, luckily they have a whole set of files prepared, you just have to load them. If you want to override and translate separate texts, you can do that too. "infoFiltered": "(filtered from _MAX_ total records)"
If you want to perform multi-column ordering, it’s a little more complicated. Let’s say, you want to order by created_at asc (in other words, from oldest to newest), and then another column would be name alphabetically. These are the most common customizations of Datatables list, downloaded from our QuickAdminPanel. But you can perform the same option changes even without our generator, if you use Datatables directly in jQuery. For more information, visit official Datatables.net documentation and Laravel Datatables package documentation. Thanks for these tips & I’m actually interested in 1 more tip: from server-side rendered datatables open the edit button in a modal window. So row with 1 user, edit button, delete button, checkbox for multi-select, when I click on the edit button (or username for just ‘show’ function), I would like to open a modal window with exactly that data from that single row. Can you show us how to do that? Maybe on the server side already give that info in the json? Excellent tips – thank you. How can I edit the crud view/edit/delete buttons? I’d like to change the “view” button to show a different custom page instead of the default generic Datatables record view page. 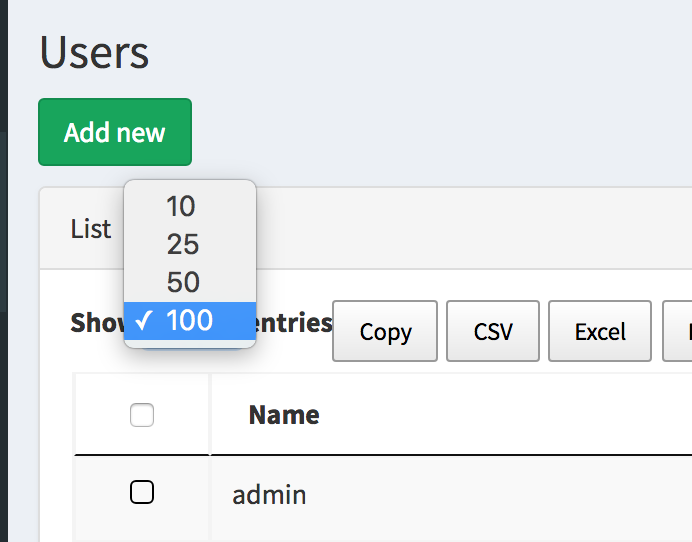 Hi Stephen, record view page is not from Datatables, it’s in Laravel, I guess you need to edit show.blade.php file for that particular CRUD. Hi Povilas, thanks for the quick reply. 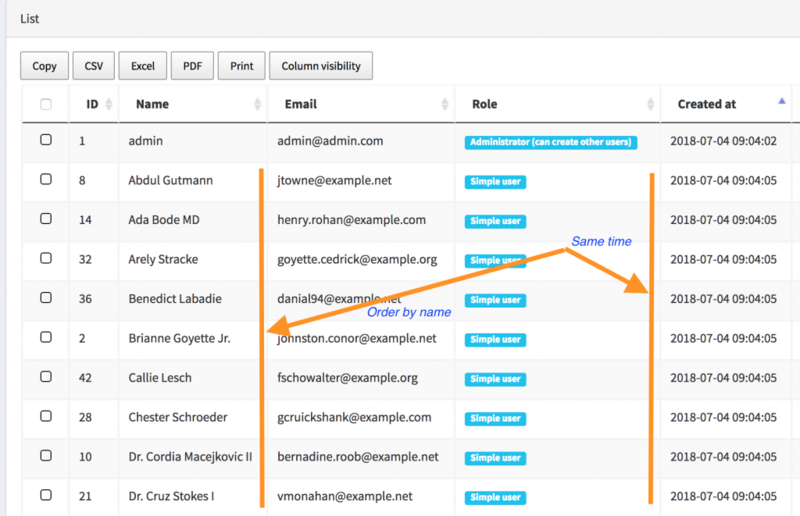 Show.blade.php is the template for showing an individual record. I’m trying to change the “View” button in the index.blade.php list of records table. The “view” button is in the group of three (view. edit. delete) buttons at the end of each row. Can I modify it to bring up my page instead of the show.blade.php record view? So looking to redirect the button rather than customize the show blade. Oh, now I understand what you mean. There’s no easy way to do that, and depends on your structure, do you use AJAX Datatables or regular ones? Please email more details to povilas@laraveldaily.com and I will help.